The Croakie Cotton Suiters are adjustable and comfortable retainers, available in solid and trend colors. There's a reason why people call eyewear retainers Croakies®, we are Number 1 in eyewear retainers. Croakies® Sport Retainers have been used by astronauts, climbers, fishermen, skiers, boaters, bikers, and every sport in between, for 32 years. 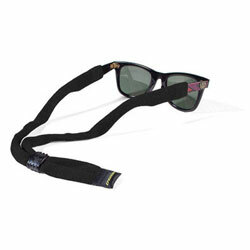 Croakies® retainers continue to be the best looking, toughest, most dependable eyewear retainers available. Croakies® products are Made in the USA.